Chetu develops enterprise-specific field service applications custom-made to address businesses’ needs, whether we’re creating an app for a construction firm, a cleaning service, or a sprawling plant or warehouse. We’ll combine all the in-demand field service features -- real-time communication, invoice generation, inventory databases – in one user-friendly package. Being able to access all your crucial documents, spec sheets, blueprints, project checklists, customer data and financial information from your phone or tablet means less paper and faster work. We leverage mobile phone cameras for one-click uploads of project site photos and signed invoices/delivery slips, and use GPS software to track deliveries and audit where change orders originate from. We can also integrate with and customize Pruvan software. Ensure your field technicians are where they ought to be, when they need to be. We use superior telephony and VoIP programming to maintain crisp communications between dispatcher platforms and mobile field service apps. Also, maintain communications with your customers through secure portals they can use to request service, make payments and follow up after the job is done. We develop desktop, mobile and browser-based job scheduling applications that can be used to rapidly generate all schedule types (Critical Path Method, Gantt, PERT), assign assets (labor and equipment), and designate roles. Scheduling and rescheduling is easy with drag-and-drop interfaces. Field managers can consult and update scheduled task statuses in real time. Automatically generate invoices, calculate quotes, accept e-signatures and process payments on site with tablet-optimized platforms that can easily integrate with your card-reader hardware and payment gateways of choice. 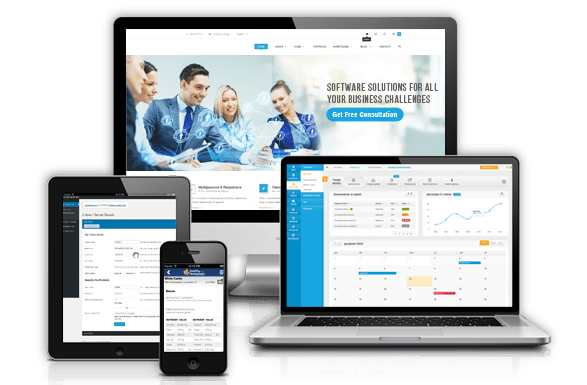 Integrates seamlessly with CRM and accounting systems, including QuickBooks Merchant Services, Dynamics 365, Freshbooks, Paypal Invoicing and Stripe. Manually submit individualized task assignments or use Decision Support software to automate technician/contractor scheduling and workload distribution based on factors like skillsets, availability, and union labor rules. GPS-enhanced mobile apps and on-site timecard readers immediately update your system with worker locations, travel times, and hours clocked. Direct integrations to HR and payroll applications. Centralized databases allow you to maintain visibility on your entire inventory, at the home office or warehouse, in your vehicles, and on job sites. Custom inventory modules are designed to simplify the requisitioning of tools, parts, materials and machinery, and automate reorders after hitting certain thresholds. Load up your inventory databases with all critical equipment and material data so technicians know before heading out that they have what they need to do the job right.